We know how hard you try to stick to your diet. But at the same time, you cannot resist the frequent bouts of hunger. Whether engrossed in work or busy watching movies, you feel like you have to keep munching. Not just midnight cravings, it is like you have all day cravings! According to research, there are about 12 types of hunger. 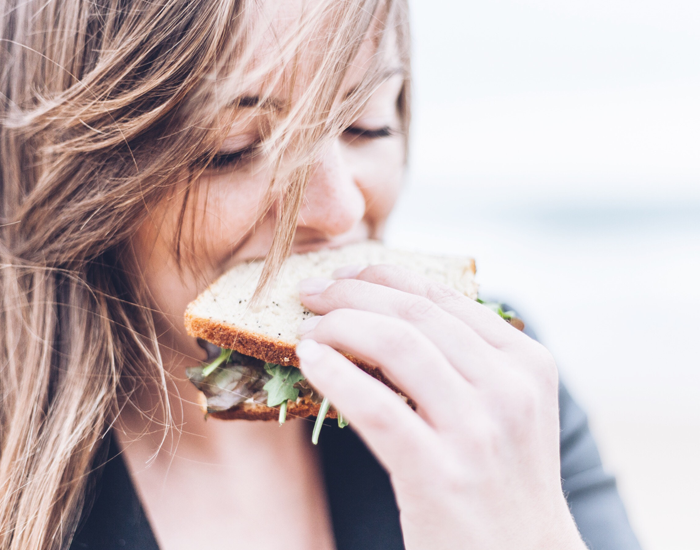 For instance: your hunger increases upon seeing, smelling or even thinking about food. Sometimes you eat just because it is time to eat (conditioned reflex). At other times you are too stressed. But can these be signs that your diet is lacking in nutrients, fibers, and proteins? Let’s have a look at why you are always hungry. Lack of protein and fiber: Protein and fiber contain hunger reducing properties. On one hand, protein increases the production of leptin hormones which help in appetite suppression. On the other hand, fiber slows down digestion. A lack of protein and fiber, therefore, increases your hunger. Include fish, meat, dairy products, Brussels sprouts and whole grains in your diet to curb hunger. Surplus Intake of Refined Carbs: Refined carbs are processed foods that have been stripped off of its vitamins, fibers, and minerals. They include pasta, bread, and soda. The absence of fiber makes refined carbs easily digestible. The sudden high and low in blood sugar followed by increased production of insulin tickles your hunger, and you end up wanting more. Insufficient water intake: We all know water has a lot of benefits. It keeps you hydrated 24/7, enhances cardiac and brain functioning and helps you perform exercises without exhaustion. It has been proven that drinking about two glasses of water before every meal prevents extra calorie intake. At times, thirst is mistaken for hunger. To stop being hungry all the time, drink water. High-intensity exercises: Listen to your dietician or nutritionist when he tells you to have multiple small meals rich in protein, fiber and healthy fat throughout the day. 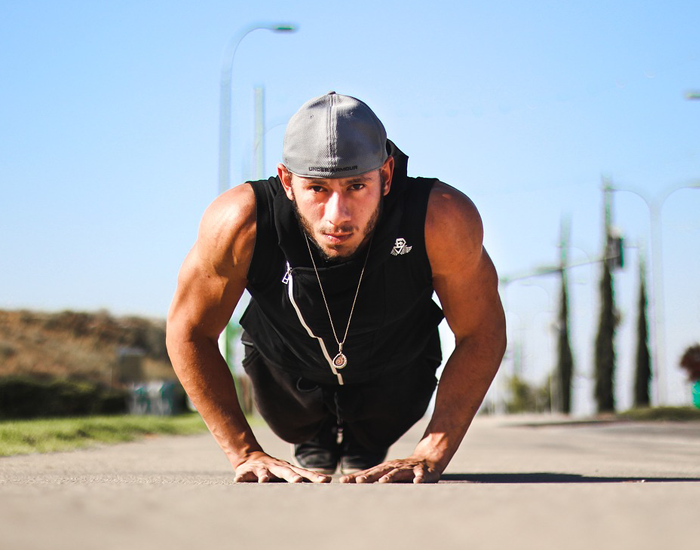 High-intensity exercises spike the metabolism of your body. This enhances your digestion leaving you hungrier for more food. Maintain a balance between your workout and diet to control your hunger. Inadequate Sleep: A proper sleep is required to regulate the two hunger hormones in the body. Lack of sleep leads to high levels of ghrelin hormone that increases your hunger. 8-9 hours of uninterrupted sleep helps maintain adequate levels of leptin, slowing down digestion, making you feel full for longer hours. Medical Conditions: Increased hunger also denotes certain medical conditions. Autoimmune diseases like diabetes are at the top of the list. Hyperthyroidism, anxiety, and depression also invite the tendency of increased hunger. 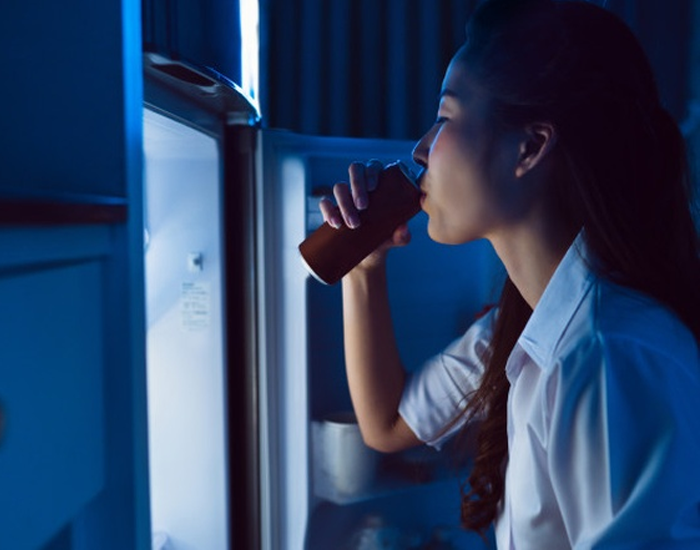 So, stop going to your fridge for that midnight snack. Take your excessive craving for food seriously. Maintain a balanced diet plan. Reach out to expert nutritionists or doctors if you experience any other added symptoms. Download FITPASS to enjoy the in-app services of FITFEAST. Want to talk to expert nutritionists? Schedule your call, chat and let them know your dietary issues via video chats. Get customized diet plans, keep track of your calorie intake and maintain a regular meal log and water log. With the FITPASS app, a fit life is never too far.